Why did so many Wexford people choose Georgia as their new home in the 1800s? 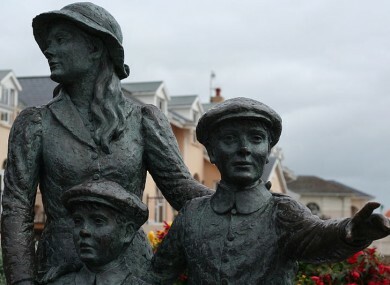 An emigration statue in Cobh, Cork. A MAJOR NEW research project has been launched to try to find out how and why so many people from Wexford and the south-east of Ireland emigrated to Savannah in Georgia in the 19th century. The initiative is a collaboration between Waterford Institute of Technology, the John F Kennedy Trust in Wexford and a number of institutions in Georgia. Many people in the Savannah area in Georgia claim Irish ancestry and a large number of those within the Irish-American community in the area can trace their ancestry back to the south-east of Ireland – particularly Wexford. The Graves company in New Ross operated a shipping route to Savannah in the 19th century and brought many emigrants on ships like the Dunbrody across the Atlantic. However researchers will be looking to find out how and why these particular people travelled to Savannah, why they settled and did not move on, how they formed their community and how they prospered. Email “Why did so many Wexford people choose Georgia as their new home in the 1800s? ”. Feedback on “Why did so many Wexford people choose Georgia as their new home in the 1800s? ”.